The official end of the Cold War era in 1989 brought during the first coming years a kind of international optimism that the idea of the “end of history“ really could be realized as it was a belief in no reason for the geopolitical struggles between the most powerful states. The New World Order, spoken out firstly by M. Gorbachev in his address to the UN on December 7th, 1988 was originally seen as the order of equal partnership in the world politics reflecting “radically different international circumstances after the Cold War“. 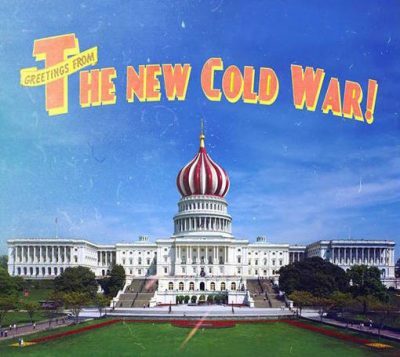 Unfortunately, the Cold War era finished without the “end of history“ as the US continues the same policy from the time of the Cold War against Moscow – now not against the USSR but against its successor Russia. Therefore, for the Pentagon, the Cold War era in fact has never ended as the fundamental political task to eliminate Russia from the world politics still is not accomplished. Regardless the fact that in 1989 Communism collapsed in Eastern Europe, followed by the end of the USSR in 1991, that brought a real possibility for creation of a new international system and global security, the eastward enlargement of the NATO from March 1999 (the Fourth enlargement) onward is a clear proof of the continuation of the US Cold War time policy toward Moscow which actually creates uncertainty about the future of the global security. After the end of the USSR and the Cold War, there were many Western public workers and academicians who questioned firstly why the NATO has to exist at all and secondly why this officially defensive military alliance is enlarging its membership when the more comprehensive Conference on Security and Cooperation in Europe (the CSCE, today the OSCE) could provide the necessary framework for security cooperation in Europe including and Russia.However, the NATO was not dissolved, but quite contrary adopted the same policy of the further (eastward) enlargement likewise the EU. The Kosovo crisis in 1998−1999 became a formal excuse for the enlargement of both these US client organizations for the “better security of Europe“. The EU Commission President, Romano Prodi, in his speech before the EU Parliament on October 13th, 1999 was quite clear on this matter. However, if we know that the Kosovo crisis followed by the NATO military intervention (aggression) against Serbia and Montenegro was fully fuelled exactly by the US administration, it is not far from the truth that the Kosovo crisis was provoked and maintained by Washington, among other purposes, for the sake to give a formal excuse for the further eastward enlargement of both the EU and the NATO. However, can we speak at all about the end of the Cold War in 1989/1990 taking into account probably the focal counterargument: the NATO existence and even its further enlargement? As a matter of fact, the NATO is the largest and longest-surviving military alliance in contemporary history (est. 1949, i.e., six years before the Warsaw Pact came into existence). No doubts today that the NATO was established and still is operating as a fundamental instrument of the US policy of global imperialistic unilateralism that is, however, primarily directed against Russia. The deployment of the US missiles in Western Europe in the 1980s, regardless on achieved détente in the 1970s in the US-USSR relations, became a clear indicator of a real nature of Pentagon’s geopolitical game with the East in which the NATO is misused for the realization of the US foreign policy objectives under the pretext that the NATO is allegedly the dominant international organization in the field of the Western European security. Although the NATO was formally founded specifically to “protect and defend“ Western Europe from the USSR there are many doubts after 1990 why this Cold War organization still exists as the alleged danger for the Western civilization disappeared with the decomposition of both the USSR and the Warsaw Pact. Basically, the proper answer to this question can be found in the origins of the Cold War. “… wanted to join a club of secure, prosperous, democratic, and relatively well-governed countries. They saw themselves as naturally belonging to Europe, but deprived of the opportunity to enjoy democracy and the free market by Soviet hegemony and Western European acquiescence to that state of affairs. With the fall of Communism this historical injustice had to be remedied, and accession to the EU was to make their return to Europe complete“. However, it is not clear why seven Western European states currently out of the EU are not able to see all mentioned advantages of the EU membership. Even one of the member states (the UK) decided in 2016 to leave the club (Brexit) and one of the chief reasons for this decision was exactly the eastward enlargement as the critical idea of all Eastern European states to join the EU is to live on the Western EU member states’ financial support. Nevertheless, from the geopolitical perspective, the new EU member states coming from Eastern Europe (from 2004 enlargement onward) are the US Trojan Horse in the club, who are openly supporting the American foreign policy of the imperial design, but with their prime duty as the members of both the EU and the NATO to take an active participation in the coming Western military crusade against Russia in the form of the WWIII. However, these Eastern European nations are going to be the first to experience direct consequences of the war as being a critical part of the Western front-line combat zone against Russia. 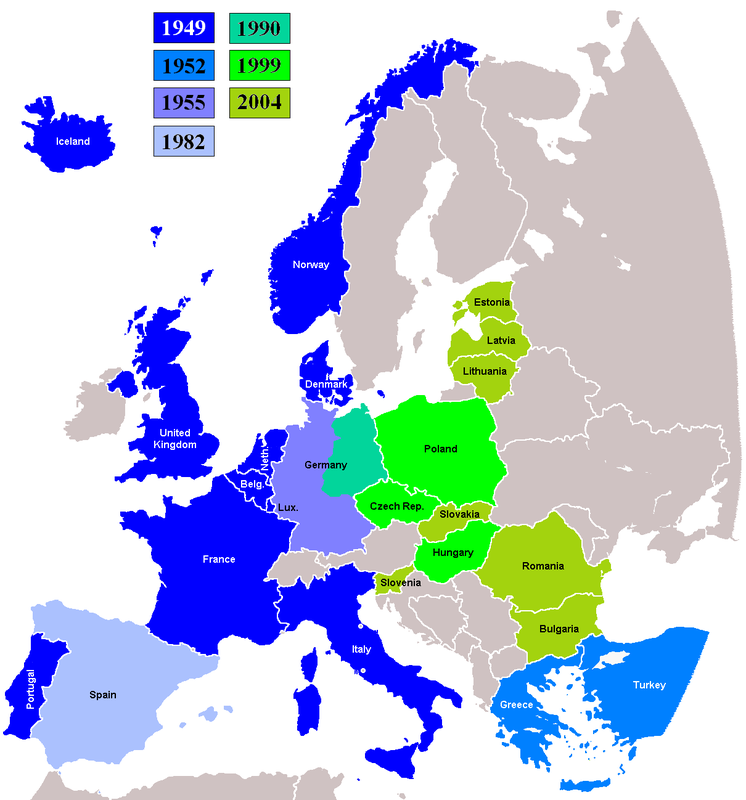 Surely, one of the most fundamental anti-Russian actions in Europe at the post-Soviet era was the US decision to expend the NATO eastward by offering full membership to three ex-Warsaw Pact members: Poland, the Czech Republic, and Hungary. Therefore, Reagan-Gorbachev agreement from Reykjavik in 1988 was unilaterally and brazenly violated by Washington under the formal excuse of a combination of events−V. Zhirinovsky’s showing in the 1993 elections in Russia, domestic pressure upon B. Clinton from his Republican opponents at the Congress, and what the US administration saw as the abject failure of the EU to provide an answer to the European problem of the Yugoslav civil war (1991−1999). Washington quickly accused the Europeans to be unable to deal with the Yugoslav crisis that was a major test which the EU failed to pass, but honestly speaking, all the EU peace-making efforts dealing with the Yugoslav crisis really failed for the very reason as they were directly sabotaged by the US diplomacy. 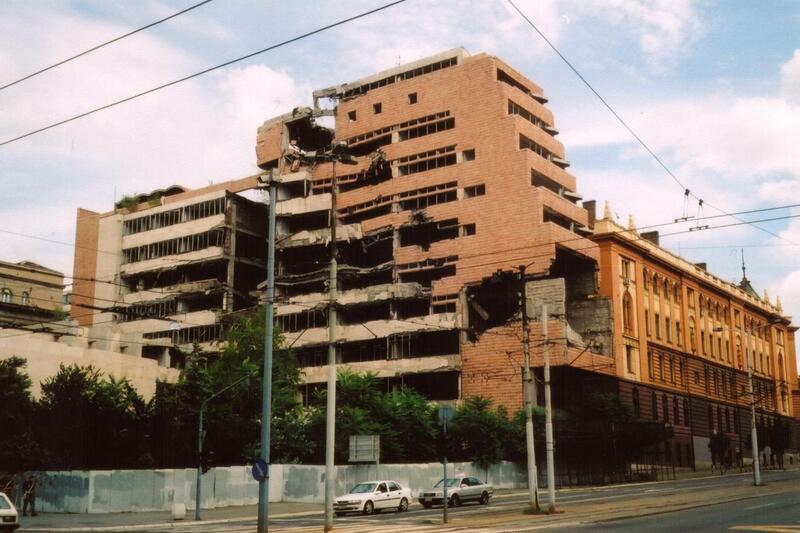 Nevertheless, the first new action by the enlarged NATO, only two weeks after its Fourth enlargement, was a savaged bombing of Serbia for the sake to put her Kosovo province under the NATO occupation. It has to be recognized that the Cold War bipolarity after 1989 was, at least up to 2008, superseded by the US-led unipolarity – a hegemonic configuration of the US accumulated hyperpower in global politics that presented quite new challenges to the international relations. However, after the event of 9/11, the US administration started to act on the accelerating achievement after the Cold War of supreme political and military power in the globe for the sake to complete a mission of a global hegemon. The US administration, however, purposely presented the 9/11 attack as the work of (only) a network of Al Qaeda, a Islamic terrorist organization led by Osama bin Laden who was a Saudi millionaire’s son but as well as “who learned his terrorist trade, with U.S. assistance, fighting Soviet forces in Afghanistan in the 1980s“. The US administration of President G. W. Bush responded very quickly and by the end of 2001 a Taliban regime in Afghanistan, that was a radical Islamic regime which was providing a base of operations for Al Qaeda, became demolished and the biggest part of the country occupied or controlled in a coalition with the US satellite states. That was the beginning of the announced „War on Terrorism“ that actually had to serve as a good excuse to further strengthen the US position as the global policeman followed by the invasion of Iraq in 2003. Therefore, a policy of a global unipolarity – a condition of a global politics in which a system of international relations is dictated by a single dominant power-hegemon that is quite capable of dominating all other states, became an order of the day for both the Pentagon and the White House. With the US military invasion of Afghanistan in 2001 and Iraq in 2003 the US stood alone (with the military support by the UK as the fundamental American client state after 1989) at the summit of the hierarchy of the international relations and global politics up to 2008 when Russia finally decided to protect its own geopolitical and historical interests in some part of the world – in this particular case at the Caucasus. The US, in the other words, became in the years 1989−2008 the sole state in the world with the military and political capability to be a decisive factor in the global politics at any corner of the world. In these years, the US military expenditures exceeded all other states combined – a clear sign of a hegemonic global policy of Washington. It seemed to be that the US had an extraordinary historical ability to dictate the future of the world according to its wishes and design as America became a single world hyperpower as the universal empire stronger than Roman or British empires. By definition, the empire is a universal state having a preponderant power and being in a real ability to act independently without any restraint. Therefore, the empire is working alone rather than in concert with other states, or at least with those whom we can call as the Great Powers – a fundamental mistake and sin which finally provokes an apocalyptic animosity and clash with the rest of the world. This animosity, from a historical perspective, after certain time, provokes a blowback by the others that exactly, in the case of the US empire, came from Russia in 2008. Central Caucasus, Eastern Ukraine, and the West Middle East today became the regions of a direct clash of geopolitical interests on the global chessboard between declining US empire and the rising economic, political, financial and military power of Russia. The US even from 1990 (the First Gulf War) crossed the moral boundaries in abusing its hyperpower through defiant and brutal unilateralism, becoming, as all other universal states (empires), hated and feared rogue civilization (“rogue gangster state“ according to Stephen Lendman). The universal state is acting as an international outlaw by its own rules, values, norms, and requirements like the US and its NATO satellites in the case of the barbaric bombing of the Federal Republic of Yugoslavia for 78 days in 1999. “Our forces will be strong enough to dissuade potential adversaries from pursuing a military build-up in hopes of surpassing, or equaling, the power of the United States“. “So let me say it clearly: the United States can, must, and will lead in this new century… The world looks to us because America has the reach and resolve to mobilize the shared effort needed to solve problems on a global scale – in defense of our own interests, but also as a force for progress. In this we have no rival“. However, those H. Clinton’s words were ungrounded as the US empire already was in the process of declination. The gradual decline and probably ultimate demise of the US empire, as any other empire in history, can not be understood without previous knowledge of nature and driving forces of the imperial system. After 1991 the USA remained to function as a „military society“ as there were, for instance, the Roman Empire or the Ottoman Sultanate. That is to say more precisely, the driving force behind the US empire left to be an “external objective“ – the perceived needs to reconstruct the world according to its own values and norms. However, such very ambitious project requires a very systematic policy of overall mobilization of the whole society, economy, and politics. As such mobilization, all the time implies sacrificing a particular sector of the domestic economy for the sake to realize the expansionist aims, the system’s functioning is basically reinforced by the need to replenish resources used up at the previous stage – the need which the US simply could not accomplish successfully. The US, as a matter of fact, already found itself very costly to maintain its own military dominance in the world. The American soldiers are deployed in almost 80 countries from the Balkans to the Caucasus and from the Gulf of Arden to the Korean Peninsula and Haiti. The US administration is today constantly trapped by the Imperial Overstretch Effect – the gap between the resources and ambitions especially in the foreign (imperialistic) policy which is formally wrapped into the phrase of “domestic security“ needs or international „humanitarian mission“. Undoubtedly, the US costly imperial pursuits and particularly military spending weakened the American economy in relation to its main rivals – China and Russia. There is a number of scholars (N. Chomsky, M. Chossudovsky, etc.) and public workers (like P. K. Roberts) who predict that after the Pax Americana a multipolar system of international relations will emerge. The fact is that multipolarity, as a global system with more than two dominant power centers, is clearly advocated by V. Putin’s administration in Kremlin instead of both a bipolarity or unipolarity. This concept of multipolarity in international relations has to include alongside the US and the BRICS countries, Japan and the EU. As a multipolar system includes several comparatively equal Great Powers, it is by the nature complex system and hopefully more prosperous for maintaining the global security. The world is in fact from 2008 at the process of power transition that is surely the dangerous period as a hyperpower of the USA is directly challenged by the rise of its rivals – Russia and China. Subsequently, the current Ukrainian and Syrian crisis are the consequences (a global „collateral damage“) of such period of power transition which already marked the beginning of a new Cold War that can be soon transformed into the Hot Peace era. Nevertheless, the US administration is not anymore in position to run with the Bush Doctrine that is the unilateral grand strategy of the George W. Bush’s administration in order to preserve a unipolar world under the US hegemony by keeping America’s military capacity beyond any challenge by any other state in the world as, certainly, the US hegemony is already challenged by both Russia and China. Those two countries are currently in the process of making their own alliance bloc advocating multilateralism as a cooperative approach to managing shared global problems and keeping a collective security by collective and coordinated actions (a group thinking) by the Great Powers. The fundamental task of the US foreign policy after 1989 is to protect its own concept and practice of the unipolar geopolitical order in the world, while Russia with the other BRICS countries is trying to create a multilateral global geopolitical order. 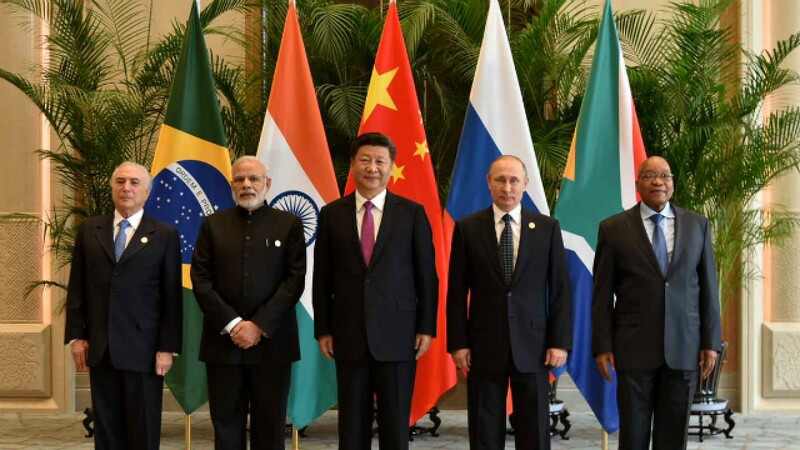 The BRICS group of countries (Brasil, Russia, India, China and South Africa) are clearly expressing the global phenomena of the “Rise of the Rest“ against the US unipolar hegemony. The rise of the BRICS marks a decisive shift in the global counter-balance of power toward the final end of America’s hegemony. A significance of these four fast-growing economies and their global geopolitical power is already visible and recognized with the predictions that up to 2021 the BRICS countries can exceed the combined strength of the G-7 countries.Therefore, here we are dealing with two diametrically opposite geopolitical concepts of the world order in the 21st century. The current Ukrainian and Syrian crises are a just practical expression of it. From the very general point of view, the US administration is not opposing the Russian geopolitical projects because of the fear of the reconstruction of the USSR, but rather for the sake of realization of its own global geopolitical projects according to which Russia has to be a political and economic colony of the West like all the former Yugoslav republics are today but just formally existing as the „independent“ states. The most immediate US task in dealing with Russia after 2000 is to prevent Moscow to create a Eurasian geopolitical and economic block by misusing the EU and NATO policy of the eastward enlargement in East Europe and the Balkans. Ukraine in this matter plays one of the fundamental roles as according to notorious US Russophobe of the Polish origin Z. Brzezinski, Ukraine is a new and important space on the Eurasian chessboard as a geopolitical pivot for the reason that its very existence as an independent country helps to halt Russia to become a Eurasian empire what means a center of world power. Therefore, the US policy in Eastern Europe has to be concentrated on turning all regional countries against Russia, but primarily Ukraine which has to play the crucial role of stabbing the knife to Russia’s backbone. The Huntington’s thesis about the unavoidable clash of the antagonistic cultures at the post-Soviet time basically served as academic verification of the continuation of America’s hegemonic global policy after 1989. The author himself „was part leading academic and part policy adviser to several US administrations−and had occupied this influential space since the late 1950s“ what means that Huntington directly was participating in directing the US foreign policy during the Cold War. However, as the USSR together with its Communist satellites finally lost the war, but the US policy of the Pax Americana had to be continued and after the Cold War, Huntington actually by his article and later the book on the clash of antagonistic civilizations, as their value systems are profoundly different, paved the academic ground to the Pentagon to invent, a new and useful enemies that would give the US a new role and provide a new justification for America’s continued hegemony in a post-Soviet world. One of these enemies became a post-Yeltsin’s Russia as a country which decided to resist a global hegemony by anyone. A new Russia’s foreign policy in the 21st century is especially oriented and directed toward refutation of predicting that the new century of the new millennium is going to be more “American“ than the previous one. It means that the US-Russian relations after 2000 are going from the US-led “New World Order“ to the multipolar “Resetting Relations“. The last military success of the Pax Americana’s geopolitical project was the Second Gulf War (the Iraq War) in 2003 launched by the US Neocon President George W. Bush not only to kick out the “Vietnam Syndrome“, but more important to answer to all those experts who previously had been predicting an erosion of the US influence in the global politics. The architects of a post-Yeltsin’s Russia’s geopolitics, followed by all critics of the Pax Americana, are emphasizing a dangerous effect of the American soft power in the shape of popular culture, fashion, fast food, music, etc., as the products of a primitive sub-culture and a quasi-civilization. Therefore, the global duty of the civilizations at the time of the clash of civilizations is to fight against the quasi-civilization which degenerates the human face around the world. That is one of the critical tasks of Russia in world policy after 2000 as one of the escalating Great Powers. A rising power of the post-Yeltsin’s Russia as one of the leading countries which are challenging the US unipolar hegemony can be seen from the facts that only up to 2008 Russia succeeded to double its GDP, to triple wages in real terms and to reduce the unemployment and poverty. Jeffrey Haynes, Peter Hough, Shahin Malik, Lloyd Pettiford, World Politics, New York: Routledge, Taylor & Francis Group, 2013, 97. John Baylis, Steve Smith (eds. ), The Globalization of World Politics: An Introduction to International Relations, Second edition, New York: Oxford University Press, 2001, 111. Karin M. Fierke, Antje Wiener, “Constructing Institutional Interests: EU and NATO Enlargement” in Frank Schimmelfennig, Ulrich Sedelmeier (eds. ), The Politics of European Union Enlargement: Theoretical Approaches, London−New York: Routledge, Taylor & Francis Group, 2005, 99. European Commission, “Speech by Mr Romano Prodi, President of the European Commission, on Enlargement”, European Parliament Brussels, October 13th, 1999, SPEECH/99/130. David Gowland et al., The European Mosaic, Third edition, Harlow, England: Pearson Education, 2006, 277. Jan Zielonka, Europe as Empire: The Nature of the Enlarged European Union, New York: Oxford University Press, 2006, 49. Steven L. Spiegel, Jennifer Morrison Taw, Fred L. Wehling, Kristen P. Williams, World Politics In A New Era, Belmont, CA: Wadsworth/Thomson Learning, 2004, 329. On this issue, see more in [Robert Kaplan, Warrior Politics: Why Leadership Demands a Pagan Ethos, New York: Random House, 2002]. On the political ideology of a universal state, see [Elen Arveler, Politička ideologija Vizantijskog carstva, Beograd: Filip Višnjić, 1988]. A Great Power is a such state which is ranked among the most powerful states in the world according to hierarchical state-system. There are four fundamental criteria to identify a Great Power state: 1. It is in the first rank of military competence, having full capacity to protect its own national security and to influence other countries; 2. It is an economically powerful state; 3. It has global spheres of interest; and 4. It uses a “forward” foreign policy having actual, but not only potential, impact on international relations and world politics [Andrew Heywood, Global Politics, New York: Palgrave Macmillan, 2001, 7]. Noam Chomsky, Hegemony or Survival: America’s Quest for Global Dominance, London: Penguin Books, 2004, 11. White House, The National Security Strategy of the United States of America, Washington, September 17th, 2012. Amitav Acharya, The End of American World Order, Cambridge, UK: Polity Press, 2014, 51. Andrew C. Janos, East Central Europe in the Modern World: The Politics of the Borderlands from pre- to postCommunism, Stanford: Stanford University Press, 2000, 330−331. The Bush Doctrine dealing with the “War on Terrorism” is formulated in two messages delivered to joint sessions of the US Congress on September 20th, 2001 and January 29th, 2002 [Paul R. Viotti (ed. ), American Foreign Policy and National Security: A Documentary Record, Upper Saddle River, New Jersey: Pearson Prentice Hall, 2005, 244−248]. The Bush Doctrine is directly supported by the USA Patriot Act of October 24th, 2001. The idea of Bush Doctrine is in fact very similar to the idea of the Reagan Doctrine of 1985 formulated to fight the Sandinista regime in Nicaragua. Andrew Heywood, Global Politics, New York: Palgrave Macmillan, 2001, 447. Срђан Перишић, Нова геополитика Русије, Београд: Медија центар „Одбрана“, 2015, 221. On this issue, see more in [Zbigniew Brzezinski, The Grand Chessboard: American Primacy and Its Geostrategic Imperatives, New York: Basic Books, 1997]. John Baylis, Steve Smith (eds. ), The Globalization of World Politics: An Introduction to International Relations, Second edition, New York: Oxford University Press, 2001, 115. Roger E. Kanet, “From the ‘New World Order’ to ‘Resetting Relations’: Two Decades of US−Russian Relations” in Roger E. Kanet (ed. ), Russian Foreign Policy in the 21st Century, London: Palgrave Macmillan, 2011, 204−227. Richard W. Mansbach, Kirsten L. Taylor, Introduction to Global Politics, Second edition, London−New York: Routledge, Taylor & Francis Group, 2012, 165.